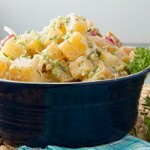 Classic potato salad with a tangy cream sauce, loaded with fresh herbs and finely chopped fresh vegetables. 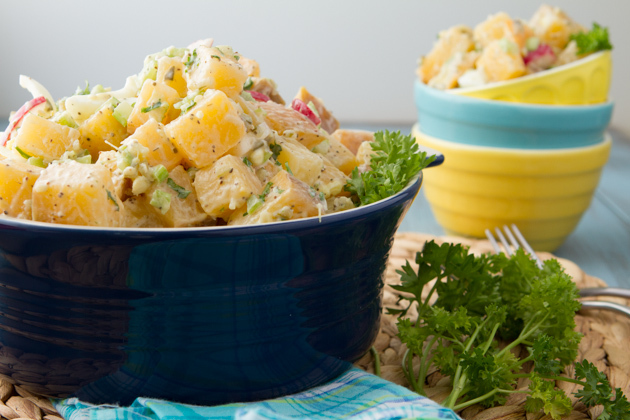 Only, there are no potatoes in this potato salad! 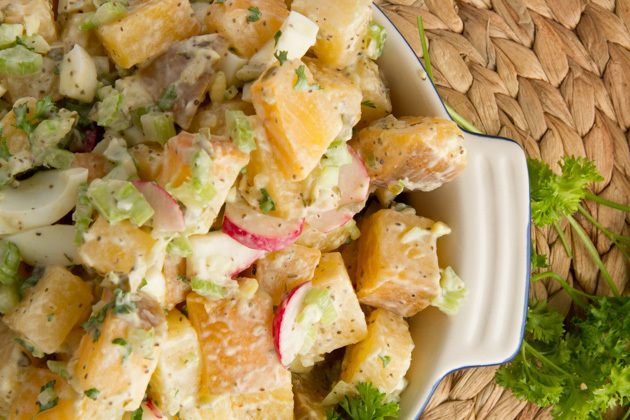 I was a bit skeptical at first… but wow, cooked rutabaga was made for potato salad. 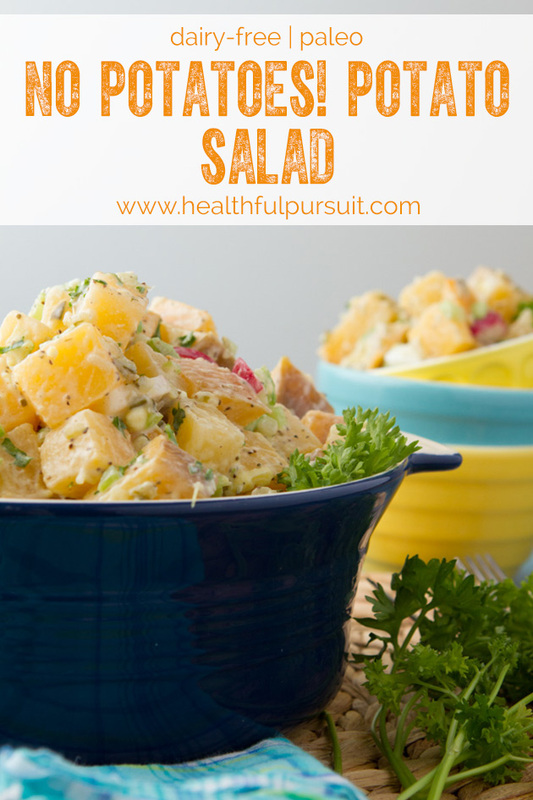 It has the same consistency of potatoes but they’ve got a slight KICK that adds just the right amount of pizazz to the salad to totally pull it off. Not to mention, it’s filling. I find when I eat potatoes, I’m hungry about an hour afterward. Again, this goes back to the increase in blood sugar. This rutabaga version doesn’t do that. It’s healthy, simple and just plain good. Wash and cube the rutabaga. Add water to a large pot. Cover and bring to a boil. 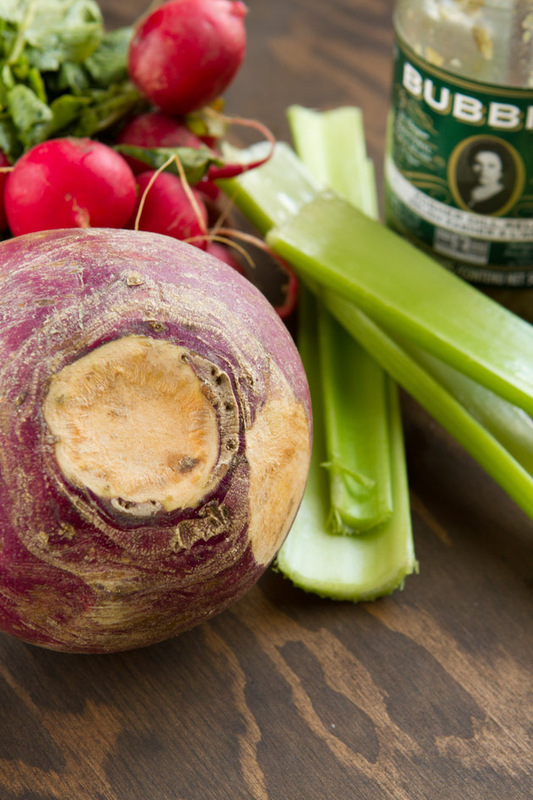 Once boiling, add rutabaga and cook for 10-13 minutes, until rutabaga is fork-tender. Drain and set aside to cool. Meanwhile, add sliced hard boiled eggs, celery pieces and radishes to a large bowl. Then, in a separate bowl, add dressing ingredients and whisk until combined. 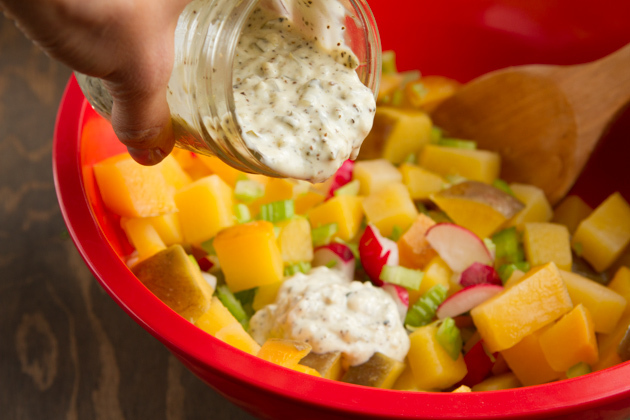 When rutabaga has cooled, add to large bowl with vegetables and drizzle with dressing. Stir to coat. Cover and refrigerate for 4 hours, until chilled. 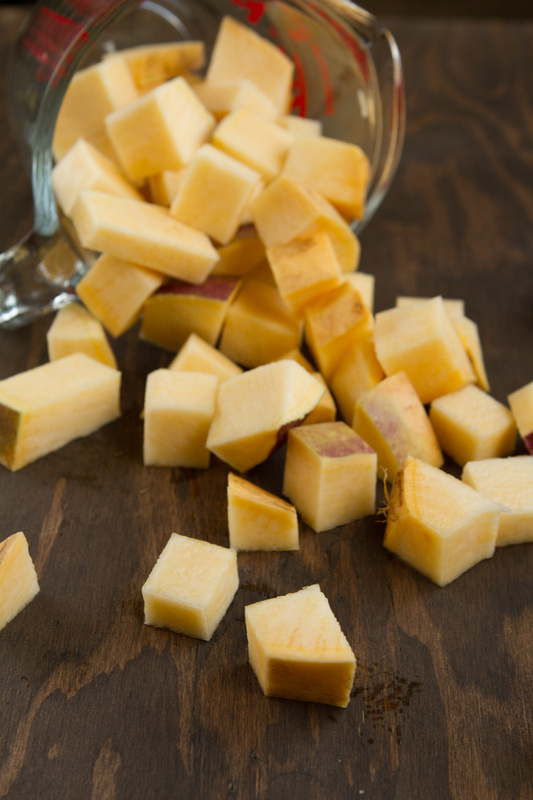 Mix it around, chill, and devour! Today’s recipe is perfect as a recipe during Wind Down Day 3 of my book. When you’ve finished a juice cleanse it is important to re-introduce food slowly. If nutrition information excites you, check out the profile for this recipe (once on page, scroll down). All of the recipes on Healthful Pursuit come with their own nutrition profiles. Search for recipes here and scroll down the individual recipe pages to view the nutrition content.